To support SMEs, FVEM will share a set of practical tools and key enabling technologies starting November 29th, 2018. 18.09.2018 SMeART is invited to the Schwerin Science Week 2018! 15.08.2018 SMeART Compass for Smart Engineering initiatives and policies in the European Union is available! 20.07.2018 Report on LEARNING AND BUSINESS CONSULTANT NEEDS OF EUROPE’S SMES IN SMART ENGINEERING published! SMeART report on LEARNING AND BUSINESS CONSULTANT NEEDS OF EUROPE’S SMES IN SMART ENGINEERING has been published! 15.05.2018 How smart are the Belgian companies? Voka knows it! 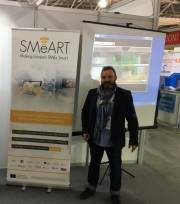 In February 2018, SMeART project partner Parbleu attended the annual Dutch Smart Industry Event. 11.01.2018 Survey on exploring business needs in smart engineering is completed! 07.06.2017 Survey on the Learning and Business Consultant Needs of SMEs in Smart Engineering is open! 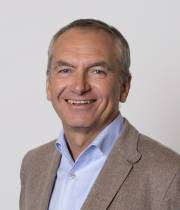 SMeART partners headed by the partner VOKA released the online-survey on the Learning and Business Consultant Needs of SMEs in smart engineering.